The proposal deals with the environment extensions both vertical and horizontally. Poetic name of their proposal „Garden of Eden“ reflects their efforts to create a new quality in home environment. 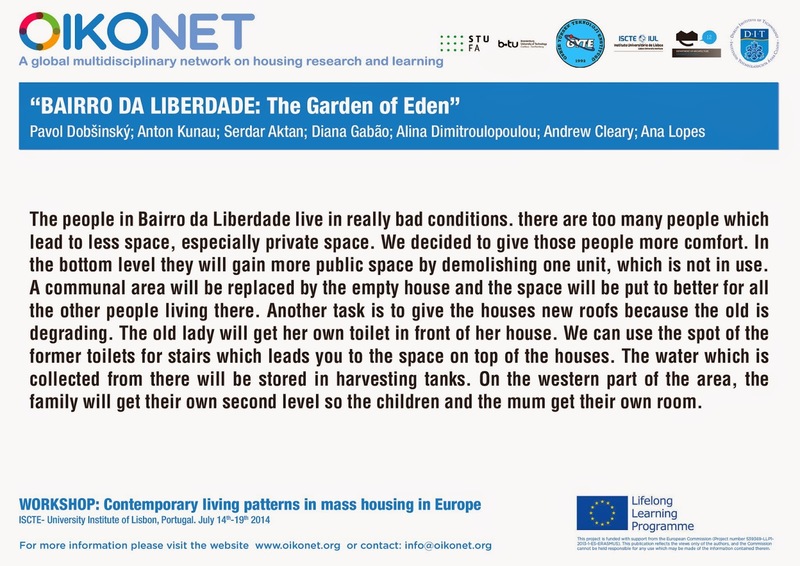 The presented work in logical sequence shows examples improving housing conditions, covers both the requirements as to increase the housing area but also shows the possibility of implentation of greenery in the dense built-up area. Effective concept design submitted in structured methodical manner with the specification of problem and the proposal for solution. Interventions improve private and semi-private living space in the habitat.